Science ObjectDigital resources are stored online in your NSTA Library. Science Objects are two hour on-line interactive inquiry-based content modules that help teachers better understand the science content they teach. This Science Object, co-developed between NASA and NSTA, is the second of four Science Objects in the Earth, Sun, and Moon SciPack. It provides an understanding of how we know that Earth moves in a nearly circular orbit around the Sun once per year, so that we see different constellations at different times of the year. Earth rotates on its axis once per day, making it appear as though the Sun, the Moon, and the stars revolve around Earth each day. Evidence however, demonstrates that it is in fact, Earth that rotates on its axis as it orbits the Sun, just as other planets in our solar system. I really enjoy Science Objects. In 1-3 hours, the Earth, Sun, and Moon: Our Moving Earth Science Object will help me re-learn, refresh, or learn for the first time some critical science concepts I will have to know to obtain my Science Educator credentials. I appreciate that I can complete them at my own pace, and that, if used as park of a SciPack, I have access to a content expert to go to for help. The NSTA Learning Center Science Objects are really beneficial! This resource is a great way for teachers to test what they know on the topic of "Our Moving Earth". The questions allow the teachers and children to see what they know, but the resource still offers ways to learn the information. I enjoy the use of videos to display some of the information. This object took a little longer to complete but it was packed with a lot of interesting information! There were a lot of details about the different theories regarding Earth's orbit and how it relates to the Sun and other objects in space. They broke down the information in an organized format, presenting each theory in a concise manner, up until the most recent of heliocentric theories. Like I said, even though it took a while to complete, it was definitely worth it! I thought this resource was spectacular. It included so many extra aspects that I had not expected. Instead of just focusing on one part of the earth, or only using text to explain it, Earth, Sun, and Moon: Our Moving Earth had videos, diagrams, and pictures of all different areas of how the earth moves and works in relation to the sun and moon. It included a small history portion as well, discussing Bronte and how the discovery of earths orbit started. I really liked the sections that were added called 'student preconceptions'. This resource shows what students may have thought about a certain idea, and what the right explanation is. This gives students a great way to explore the earth. I also liked how organized this resource was. It is broken up into sections and is sequenced in an appropriate manner. I think that students from about grades 4 to 7 will be able to understand and appreciate this source. Loved how this section focused on the historical perspective of our developing understanding of space and the great thinkers who have paved the way! I thought that this resouce had a lot of information that I could learn from! Learning not just about science but about it's history was very fascinating! The information wasn't too powerful where it was easy to understand and something I enjoyed. It was good to see things visual because people learn differently and science is one of those things that you can have a 3d model to show it. It also helps better comprehend things. I think the scipak was helpful for teachers to fully understand the topic of the earth and its motion. The misconceptions that students might have is also helpful so the teacher will know what to prepare for in advance. Also I found the videos very helpful because I am not a science person but I learn a lot of things visually. The video simplified the text. And I think assessments in the middle also helped me keep in track on what I was supposed to learn and if I didn't learn it the assessment was telling me "you should go back." I found this resource to be very beneficial. The interactive videos help explain each key concept well. The images and explanations, as well as the questions are also very informative. The layout of the information is easy to read and follow along. 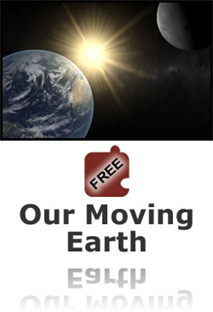 I would definitely recommend this as an excellent resource to learn about our moving Earth! This is only one object out of four in the Earth, Sun, and Moon Sci Pack. It is the first I have reviewed and already I have learned so much! This is great! The information explains not only the science but, also the history of the scientists who made the discoveries. As a complex learner I learn best through auditory/linguistic means and the text in this object has narration making it very easy to pick up what is being taught. I enjoyed the animations as well, they were very helpful in understanding what was being presented in a visual way. I appreciated that the program follows the “you will be able to” model as it would make it easy to add to your professional development plans and to fulfill assessable goals via the comprehension questions that follow each section and the quiz at the end. Also, I felt the “common student preconceptions” section was very helpful and allowed me to think about the content in student related ways. The other two supplements; the term glossary and ask a mentor function are great ways to supplement and follow up your knowledge with a content expert. This science object must be watched several times to observe all the information in it. Some things just rely on memory to understand. I found this sciobject to be very helpful in both making connections between different objects in our sky (sun, stars) and in clearing up some mis-conceptions about the same. This gives a lot of information in a great way that is not over whelming. We can share the 'why' and the 'how' we know about Earth’s rotation on its axis. It also presents the information and explanation for Earth’s orbital path around the sun that is easy to understand. You do not have to be on the Isaac Newton level to understand this interesting stuff.